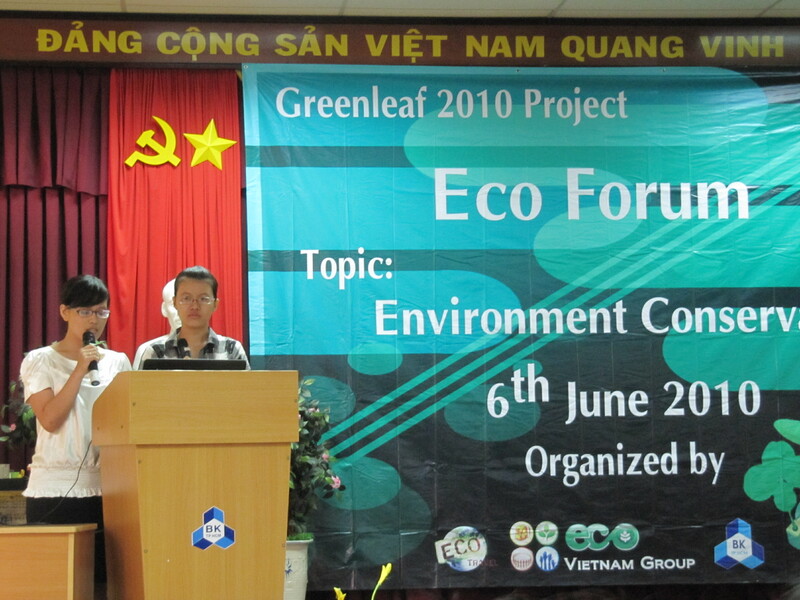 In the time from 28/05/2010 to 18/6/2010, ECO Vietnam Group (EVG) has successfully implemented the project “Green Leaf” in Gia Bac, Di Linh district, Lam Dong province with the enthusiastic support of Dunman high School (Singapore) and a group of dynamic students come from the Environmental Club “EarthLink” of Nanyang Technology University (Singapore). Within half short months, with the passionate heart and desire to prove themselves in the building and developing community, the volunteers not only bring the practical actions contributed to the better living for this highland but also learned a lot of valuable experience that they will surely never forget. On 28/5, Vietnamese volunteers and Singaporean volunteers has the meeting in friendly atmosphere at Tan Son Nhat airport . Come to this project, each volunteer will always remember the highest duty of every person that is reforestation. 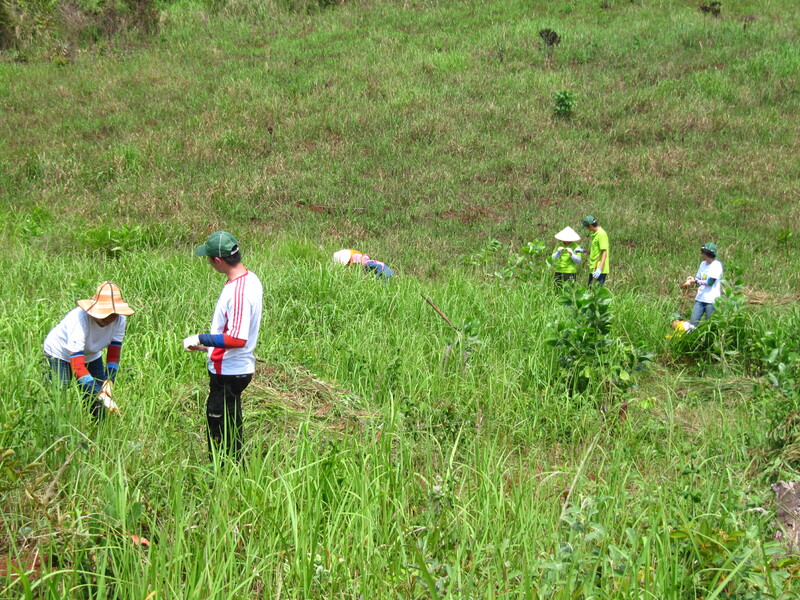 Despite difficulties and crestfallen because be not used to, but with the enthusiasm and the passion for the job , the volunteers do not mind the difficulty of weather and still make constant effort to plant saplings on vacant land, build faith and hope to bring to better condition for living . Besides, the volunteers also have the practical and significant volunteer activities others such as teaching English to children and playing with the children. In addition to the hours of hard work, the volunteers are also enthusiastic to get acquainted, share and help the daily work for the people here. From small jobs but significant , the volunteers have a better understanding about the people here, as well as additional capital and experience life for themselves. To sum up the trip, with youthful enthusiasm and passion of the hearts desire to learn, the volunteers planted a lot of young trees, organized English classes for children, helped for local people and organized successful night of cultural exchange as well as successful ECO Forumand exhibition. The contribution was not worth much but it also contributed on bringing joy and hope to the needy, building confidence to a brighter future for the local people. Farewell Gia Bac highland to return home, each volunteer know that they will no longer working tired , sleeping that thought to the next job. In that moment, it remain are friendship built during the difficult and happy time, the hard people in Gia Bac, the lifelong memories that they will never forget .